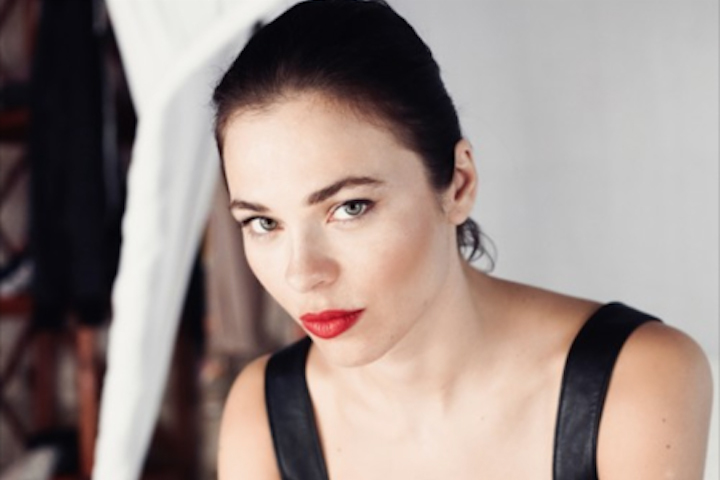 Nina Kraviz has wanderlust, both literally and musically. 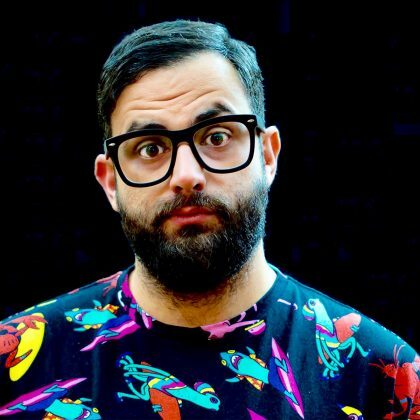 The Russian DJ, producer, and label boss won’t stay in one place for very long but, instead, bounces around the planet like some sort of magic electron bent on spreading the gospel of techno and just good (and increasingly challenging) music in general. If there’s a great party or exotic festival somewhere in the world, she’s probably played it. As she’s entered her sort of mid-career stride, Kraviz’s star somehow continues to rise and her influence grows, even though this is the part where many producers and DJs start to get a bit comfortable. Kraviz was born and raised in the Siberian city of Irkutsk in the 1980s and came of age as the communist state fell. Inheriting her father’s love of music, she studied and practiced dentistry, of all things, before getting involved in music in the Moscow scene. Her bandmates wouldn’t trust her, claiming she was just the vocalist. This didn’t sit well with Kraviz. In 2005, she was accepted in the Red Bull Music Academy but couldn’t make it. She did end up making it to the RBMA workshop the following year in Melbourne, where she met mentors like Matt Edwards (of Rekids) and the great Greg Wilson. She was involved in a band project as a vocalist (she continues to contribute vocals in her solo work to this day) but became frustrated when the other members wouldn’t let her help produce the record, because they were struggling to get it to a professional quality. Her bandmates wouldn’t trust her, claiming she was just the vocalist. This didn’t sit well with Kraviz. Her breakout came in 2009, with the young producer releasing on several seminal German labels at that time: Naïf, Underground Quality, and Rekids. 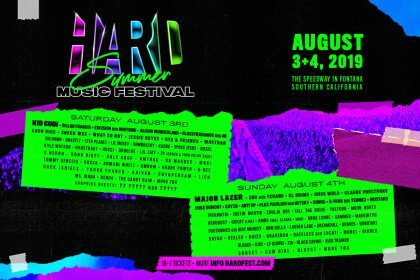 She became a staple of the sort of underground and festival circuit. In 2011, she released perhaps her biggest single, the bass-driven “Ghetto Kraviz,” which was inescapable for a couple of years. Her reputation as a DJ continued to grow, and by the time her eponymous full-length came out in 2012, you could say she was a legitimate star. So, of course, a backlash of sorts was looming. 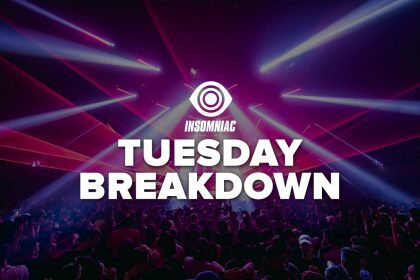 Resident Advisor published an episode of their Between the Beats series, profiling Kraviz on her nonstop tour schedule. The video chronicles the pros and cons of this sort of isolated lifestyle (Kraviz has no manager and tours with no one; she also runs her label by herself). It became notorious for a short segment in which she’s taking a bath at a hotel and is being interviewed. It served as juicy content for a bro-centric online culture that was ready to pounce. After this mini-controversy blew over (it was a hot topic for several weeks in the generally ho-hum world of techno journalism), Kraviz stuck to her guns and, since then, has proved her ascent is no gimmick or product of her looks. In 2014, she launched her label трип (“trip”), which has since become a home for all manner of wild, unrelenting techno and is one of the most interesting imprints at the moment. Since then, she and the label have been on an absolute tear, culminating in a huge 2017. She submitted a(nother) blistering Essential Mix, mixed fabric 91, and was named Mixmag’s DJ of the Year. And, yet, it seems like she’s still getting warmed up. There’s really no telling where she’s going next, but rest assured, it will not be boring.